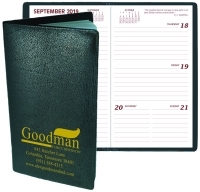 Weekly Pocket Planner Calendar: Our leather looking vinyl pocket calendar has a week at glance format. 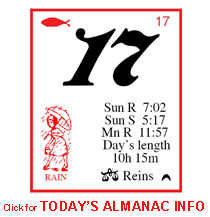 This is an inexpensive advertising calendar that will promote your business. It has been called the "pocket pal" because it can fit in a coat pocket but it is carried daily by millions of women in their pocketbook. It features a gold stamped imprint.